Why oh why am I so easy to distract. I hope the C64 people forgive me. Triggered by all the buzz about 35th anniversary of the Apple II , I had a look at the platform again and at the mails Nick Westgate wrote me quite a while back. The key issue was that there no such thing as defined executable format on the Apple II. Everything is strictly bound to the DOS and hence to the disk image. But when I realized the possibilities which arise from the idea of creating disk images directly as part of the IDE, I simply had to go and try it. Now WUDSN IDE supports the full develop, compile executable, build image, inspect image and run image required for Apple II. And I have written my first Apple II program to send greetings to the people who helped to make this work. After fiddling around a lot with validators and selfhtml, I finally managed to make the site work again. I should now also work fine in FireFox. The Facebook button remains removed until I found out how to make it an asynchronous call. Otherwise the site takes ages to come up. I know I should rather get KickAss up an running correctly, but I had some many new ideas and input in the past two weeks that I simply had to try out a few things. In particular I found that supporting other people and getting support becomes more important as the IDE grows. I have worked intensively on Apple II support and have a first prototype running. Thanks to Sean, Nick, Brendan and Robert for their support. The major steps towards improving WUDSN IDEs features are related to three projects: AppleCommander, JavaHexEditor and Jexel. Currently I am working on my contributions for all of then, so I the next versions of these tools are ready to be included into WUDSN IDE. 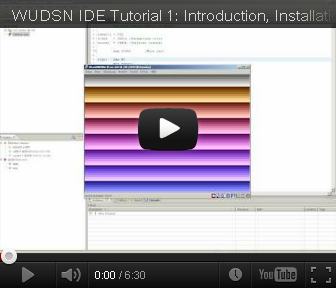 This way i can support other projects, keeping the WUDSN IDE's own code base small. AppleCommander will be used for creating disk images, i.e. 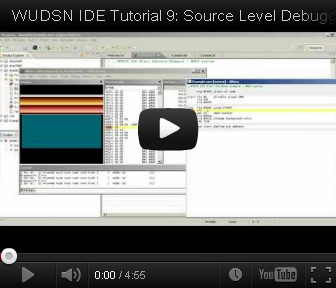 the IDE will learn to put the output files directly onto bootable images. JavaHexEditor will be refactored and its core will be the basis for the improved Hex Editor in WUDSN IDE. It will be much faster, functionally complete (cut/copy/paste) and work for files or arbitrary size. Finally Jexel will be used as expression parser for a built in calculator/cheat sheet, which was inspired by Barbarossa's feedback at CSDB. And besides this, there are also two more video tutorials available now. 6 weeks to go! on 10th-12th of August Fujiama Party 2012 is taking place again. A long weekend with Atari and other nerdy systems and nerdy people in one place. Visit the official web site , register yourself and spread the word. Unfortunately it's also the weekend when Evoke takes place, I won't be not be at Evoke (of course :-). The bad news is that I didn't finish it because of this, the good news is that I have enough time to get completely lost in WUDSN IDE enhancements. 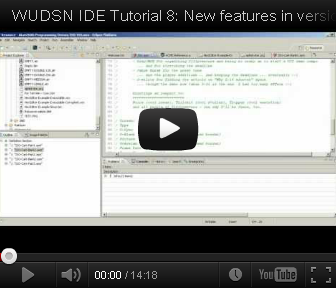 Today it is exactly 3 years since I've release version 1.0.0 of WUDSN IDE - (to himself) Wow. I can safely say that I never thought it would become so rich in terms of features and so widely used in terms of platform. Even more, I am sure it would have failed if I had started out with these goals in mind. The same goes for the video tutorials. I started them because I found it too hard to re-write the feature list into a proper documentation. And they turned out to be the based way of getting information to the consumers. With the new recoding equipment this also easy for me and I plan to create a "Coding an 8-bit oldschool cracktro in 15 minutes" tutorial soon after the next release.